You will get an inside look at the personal stories behind your favorite songs as songwriters get up close and personal with exclusive stories about how and why they wrote them. Songs tell a story, and now popular singers and songwriters are sharing more of the story! 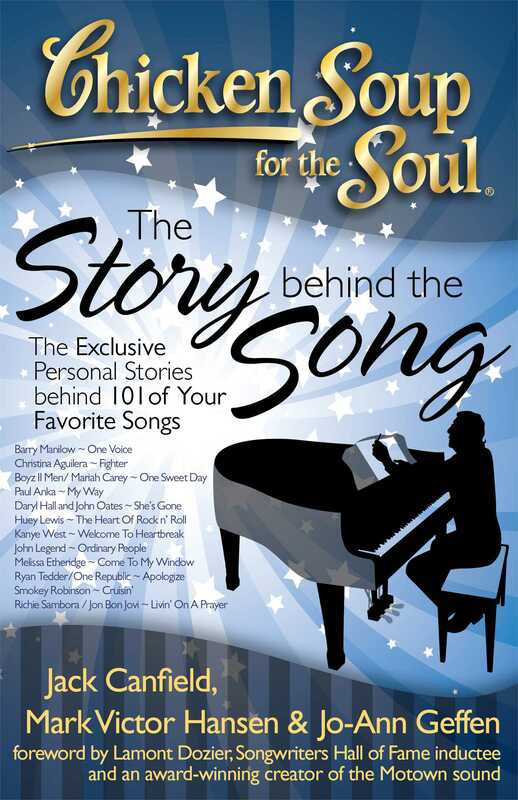 These artists reveal the inspiration, influence, and background, and when and why they wrote their most famous songs, in Chicken Soup for the Soul: The Story Behind the Song. Includes great photos of the songwriters. The print edition contains the lyrics to all 101 songs, and the eBook includes lyrics to 85 of the songs.